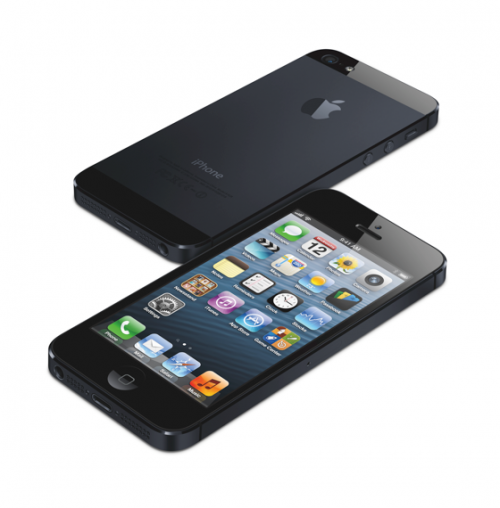 Home » Science/Tech » iPhone 5 Orders Crosses 2 Million in 24-hours! Apple’s new iPhone 5, started accepting orders at 3 AM EDT on Friday and in less than 24-hours it crossed 2 Million. This new record has beat all previous records set by iPhones, as a matter of fact this is double the amount of iPhone 4S orders in the same period. The iPhone 5 represents the first major revision of the iPhone’s screen size since the first model was introduced in 2007. The new iPhone has an elongated screen —4 inches (10.16 centimeters) measured diagonally— that allows room for another row of icons and lets widescreen movies fit better. The calendar will now show five days at a time instead of just three. Previous iPhone models had 3.5-inch (8.89-centimeter) screens. The new phone is also thinner and weighs less than previous models. It can operate on LTE cellular networks and sports a new processor and updated software. T. Michael Walkley, an analyst with Canaccord Genuity, said he believes the iPhone 5’s “differentiated form factor versus the iPhone 4S” and other improvements should drive strong iPhone 5 sales. The record advanced orders on Friday and through the weekend caused Walkley to revise his previous prediction that Apple would sell 6 million of the new iPhones by September 29. He now believes “Apple could ship 9 million to 10 million” in that time, he told investors in a note on Monday. Janney Capital Markets analyst Bill Choi said Apple’s announcement Monday “suggests iPhone 5 is running well ahead of iPhone 4S.” In a note to investors, Choi reaffirmed his earlier expectation that Apple will sell 7 million to 10 million iPhone 5s by the end of September. It won’t be easy for Apple to top the breakneck sales pace set by previous iPhones. Apple said last year that it sold over 4 million iPhone 4Ss just three days after its launch on October 14. That launch occurred less than two weeks after the death of Apple’s iconic founder Steve Jobs and as the iPhone 4S went on sale, scores of Apple devotees were still mourning him with candlelight vigils and impromptu memorial ceremonies outside of Apple stores across the globe. The iPhone 5 will be available at Apple’s 356 U.S. stores starting Friday. It sells for $199 for the 16 gigabyte model, $299 for the 32 GB or $399 for the 64 GB model. Each customer that makes a purchase at an Apple store will be offered free personal setup service, which will help them customize their device. Aside from Apple stores, the iPhone 5 will be available at Apple’s website as well as through AT&T, Sprint, Verizon Wireless, some Best Buy, RadioShack, Target and Walmart stores and certain Apple authorized resellers.